The Converse All-Star FM OX comes in two colorways, black and silver/gray, both featuring a functional piece of reflective fabric on each heel. Think Cal-Trans reflector vest, for your feet. Make sure people see you at night on your skate or bike and cop a pair of these. Those are fabulous..! 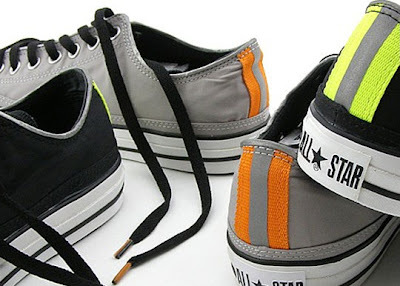 I love Converse and have 3 pairs of Converse All Star shoes.